toybot studios: Riot Girl by Colin Christian...!! Check out the WIP shots of "Riot Girl" by Colin Christian. She has nothing to do with the madness that was going on in the UK, but if she was there, perhaps the hooligans would think twice. Larger than life at 6' 10". 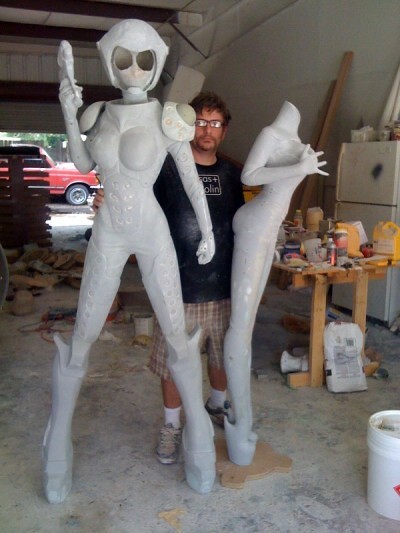 When I win the lottery, i'm going to line my entry way with Colin Christian sculptures.